When exploring a mountain, the summit is the highest point. A climber braves obstacles, learning from each step along the way to reach that pinnacle, where they can stand tall and assess everything that has challenged them to reach that milestone. 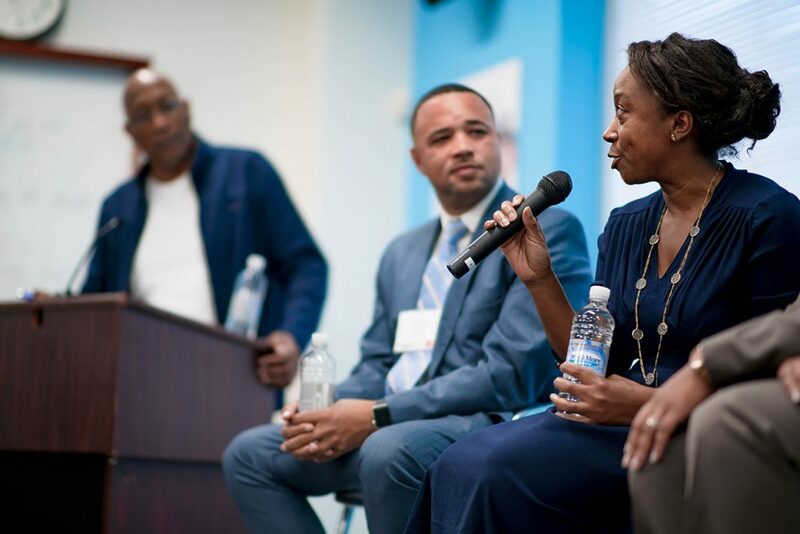 PLI’s Summit is just that; an assessment and engagement of our exploration into greater leadership as activists and stakeholders in Baltimore’s agents of change. This event is intended to spark ideation around effective and innovative approaches that will greatly benefit the Boys and Men of Color (BMOC) throughout the city. We will dive into topics relevant to today’s political and social climate within our Baltimore borders and beyond, discussing themes and issues that impact the broader community. The Summit is also a celebration of the conclusion of the annual Grassroots Academy for practitioners in the field of BMOC. Meet our new Fellows and get to know them and the fantastic work they do every day to try and improve the outcomes of our city’s aspiring youth and men! The PLI BMOC Academy has transformed the way that I approach my work with youth and families FOREVER. It has taught me how to be more strategic and impactful with the activities my organization engages community members in. Without my participation in the Academy, I may not have met and partnered with Ras Tre Subira on a new collaborative endeavor.